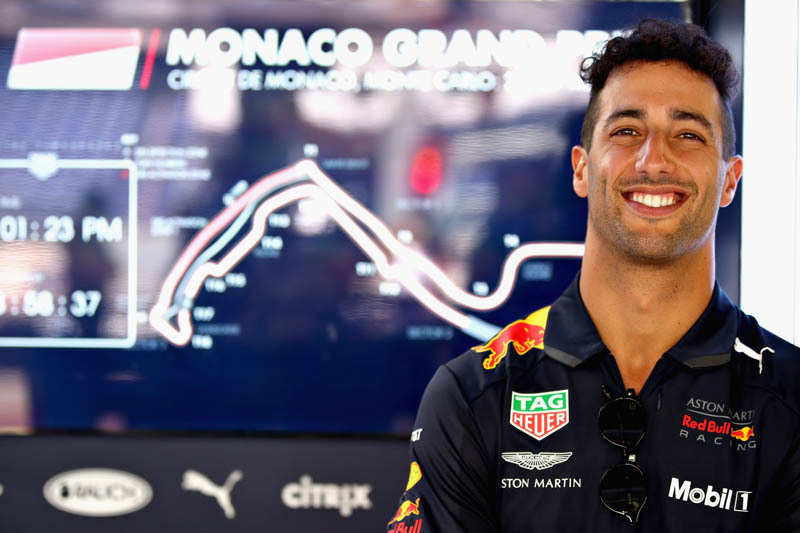 Heading into most race weekends, Daniel Ricciardo and Max Verstappen know that even before their cars have fired up they are at a disadvantage, the Renault in the back of the RB14 thought to be down more than half-a-second a lap on their main rivals. However, while the characteristics of the track are likely to compromise Mercedes, the pair believe they will benefit the Renault-powered RB14. Insisting that much of the talk of Red Bull's chances here has been hype, Ricciardo believes he and his teammate will be competitive on the Principality's infamous tight and twisty streets. "They are trying to take a little bit of pressure off them and put it on us," he told reporters of the pre-Monaco hype. "It is no secret that we are always pretty good around here. We weren't good enough last year but for sure previous years we have been. "Everyone talked about the last sector in Barcelona," he continued, which though not exactly Monaco is tight, twisty and demanding. "For sure we were pretty handy there, so we will be pretty decent. I'd be surprised if we weren't at least close. "A bit of confidence and a good set-up, and two tenths can come pretty quickly on a track like this. If we're dialled in, I think we can still do it," added the Australian. "We're still down on horsepower," added Verstappen, "that you will always see, on every single track. Plus they have the qualifying modes as well. "It's just better for us," he added, "here they won't make as big as a difference, which is normally, let's say, four-five tenths, here it's maybe two tenths here, and I think we can work with that." Check out our Thursday gallery from Monaco, here.